The Reserve Bank of India has said it has not issued any instructions restricting the exchange of Qatari Riyals in the country. 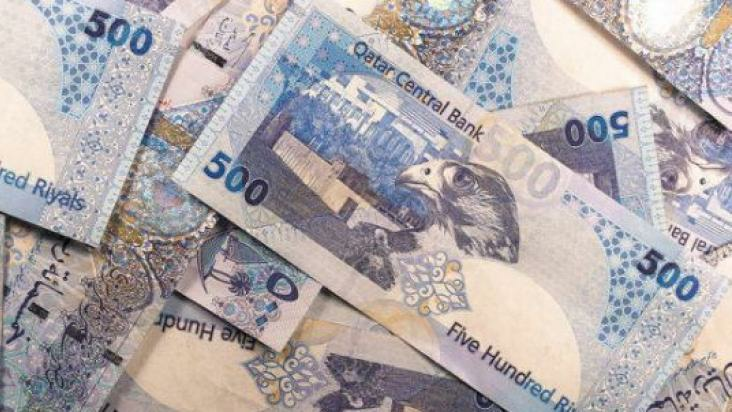 The central bank came up with the clarification amid reports that certain authorised dealers/persons are not undertaking the sale or purchase of the Qatari currency. 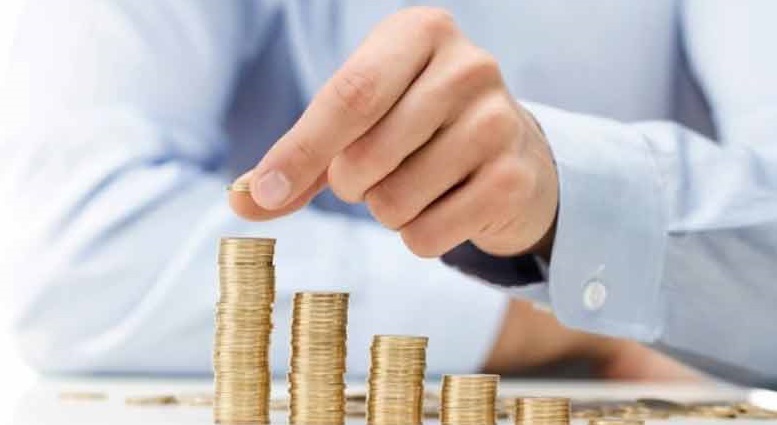 Mumbai: Acting on reports that some authorised entities were not accepting Qatari riyals, the Reserve Bank of India (RBI) on Friday clarified that it has not restricted the exchange of the currency. 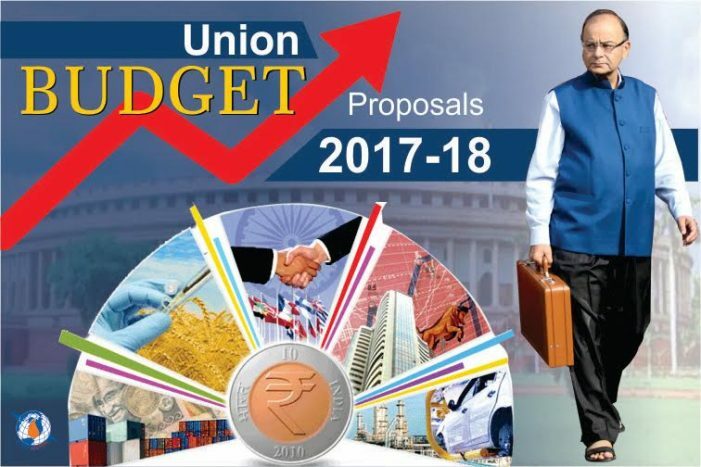 "It has come to the notice of RBI that certain entities authorised under the Foreign Exchange Management Act (FEMA) to deal in foreign exchange, are not undertaking the exchange of Qatari riyals in India. "It is clarified that the Reserve Bank has not issued any instructions restricting the exchange of Qatari riyals in India," the apex bank said in a notification here. The RBI, under FEMA, authorises dealers for sale/purchase of foreign exchange. The clarification comes as four major Arab states have severed ties with Qatar over its support to terrorism and have demanded it close down Al-Jazeera television and cut ties with Iran. Earlier there were several complaints that some money exchanges in Indian airports were not accepting Qatari riyals. Even though RBI has issued the clarification now, it is advisable to change currency in Qatar itself or carry US Dollar till the confusion at money exchanges are resolved. 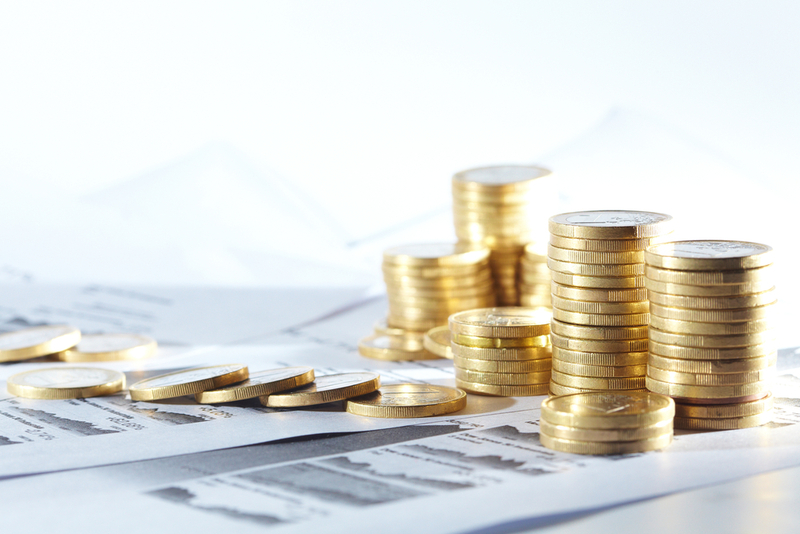 The Reserve Bank of India under Section 10 of Foreign Exchange Management Act, 1999, read with Section 3 of the Act, authorises the Authorised Persons to deal in foreign exchange as an Authorised Dealer or as a money changer or in any manner as it deems fit. 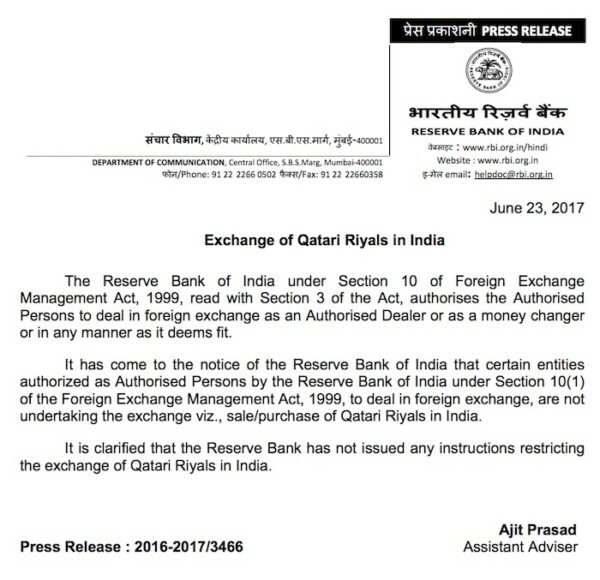 It has come to the notice of the Reserve Bank of India that certain entities authorized as Authorised Persons by the Reserve Bank of India under Section 10(1) of the Foreign Exchange Management Act, 1999, to deal in foreign exchange, are not undertaking the exchange viz., sale/purchase of Qatari Riyals in India. It is clarified that the Reserve Bank has not issued any instructions restricting the exchange of Qatari Riyals in India.